Every year since I came back here in Tokyo in 2012, I try to go around the metro for Sakura viewing. 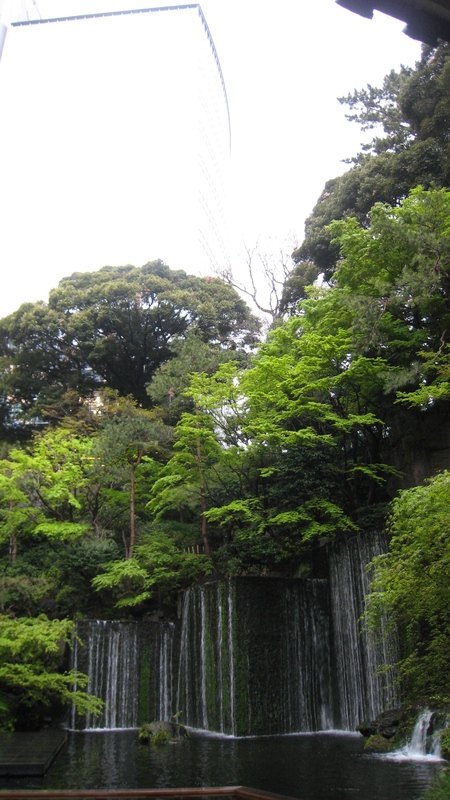 Some places I love to see are Ueno Park, the entrance path of Nippon Budokan in Kudanshita, Sumida Park in Asakusa, Meguro River as well as the Yokohama Stadium Park and Minato Mirai in Yokohama. I also try to find not-so-crowded neighbourhoods with awesome sakuras such as in Edogawa, Kiba, and Hikawadai. When friends and family come to Tokyo for a visit, I always recommend a walking tour around Kagurazaka. The place is a classic example of old and new in harmony. During the olden times, it is famous for its cobblestone paths and geisha houses as well as the different novelty shops along Kagurazaka slope. Up to this day, these features are still visible although the geisha houses are quite exclusive for local patriots. At the present, Kagurazaka is also known as the French Town of Tokyo because of various French and other European restaurants and institutions. 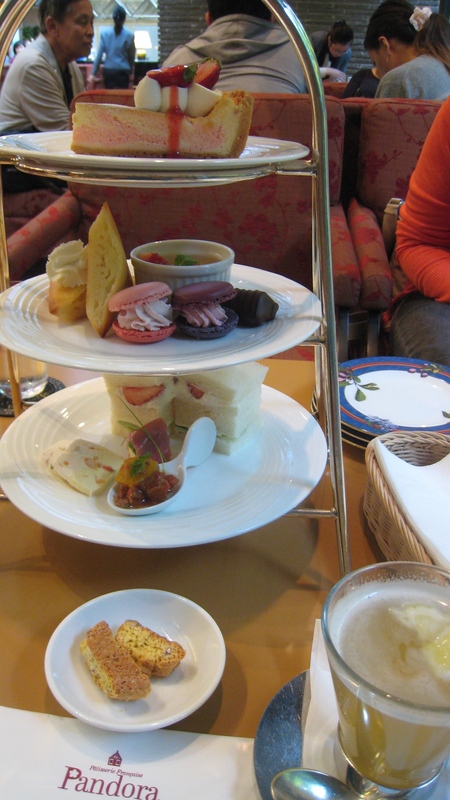 I especially love Paul, a French bakery in front of Zenkokuji Temple. And during our recent visit, we met the infamous Herbie! My visit to Kagurazaka is not complete without a bread from Paul. After an hour of walking and exploring the narrow alleys of Kagurazaka, we went next to Kudanshita for Sakura viewing. Instead of crossing the bridge directly after Canal Cafe like we used to do, we walked along Sotobori Dori under the beautiful white sakuras and then crossed the next bridge going to Yasukuni Shrine. It was my first time to visit Yasukuni Shrine although it is directly opposite Nippon Budokan where I go for Sakura viewing every year. The place is very festive - a lot of locals and foreigners visiting the shrine and its museum as well as different food stalls for people who want to have Hanami parties. Before we left the shrine premises, we were lucky to have a photo opp with two sumo wrestlers. The first Saturday of April was a happy day for our family and friends because we were able to have a barbecue party and Hanami party in one! Even though we always have barbecue party at Shinsui Day Camp here in Edogawa, it was our first time to have it with beautiful sakuras around us. Since my parents-in-law also like Ikebana, we went to Meguro Gajoen to see the annual Ikebana exhibition. Every year, I see to it that I would be able to see the exhibition especially those created by other Ikebana schools. On our way to the hotel, we made a quick tour inside Daienji Temple. 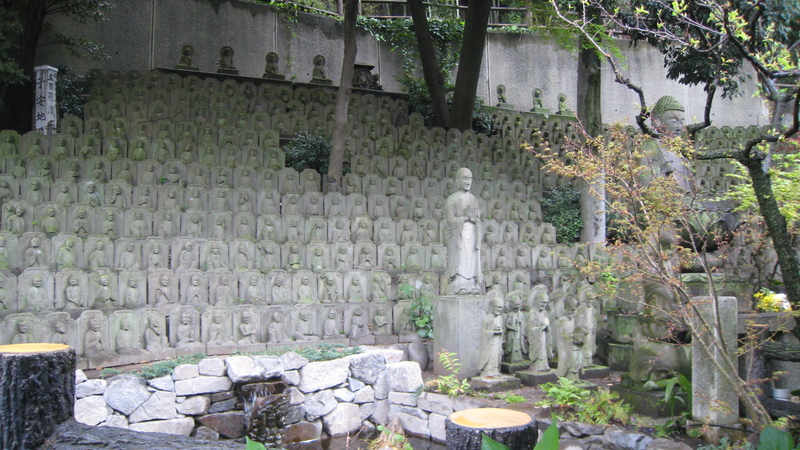 Inside we saw 500 small stone statues representing the Gohyaku Rakan or followers of Buddha surrounding a small pond. Since we were the only people inside the temple compound, it was very peaceful and serene. Quite a good contrast since the temple is in the middle of residential and commercial area. After admiring the different Ikebana arrangements and the magnificent interiors of Hyakudan Kaidan, we explored the ground floor of Meguro Gajoen before heading back to Meguro station. As always, my trip to this place is not complete without seeing the hotel lobby and the old-style restrooms. 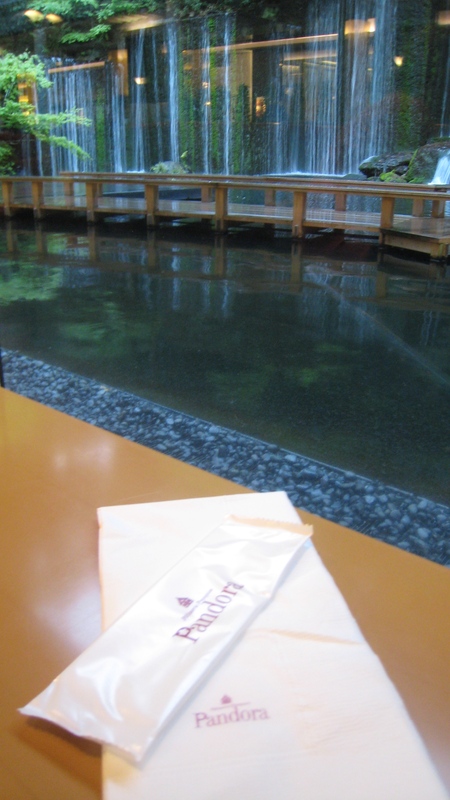 I also like the big waterfall inside the open grounds of the hotel but this time, I was able to enjoy it while having a nice afternoon tea!